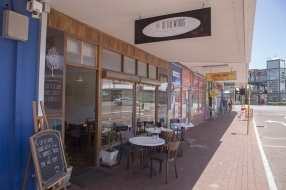 To The Woods is a cafe that is located at 9 Old Perth Rd in Bassendean. 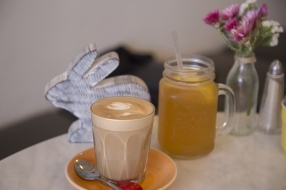 Bringing quality brunches to the East of the River, it is close to Bassendean Train Station. The traffic lights nearest the train station there is a road to the right as you drive towards Midland. At those traffic lights you cannot turn right there, that’s Old Perth Rd! Store Front - 9 Old Perth Road, Bassendean. Coffee and lemon iced tea. As you can see from the food photography above, they serve up some pretty delicious food. 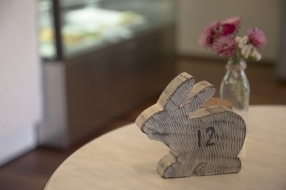 The theme is rabbits and owls across the cafe, and their young and vibrant staff are friendly and efficient with the service. You order at the till and can sit inside or out. There is also bench seating at the window which is another cool seating option. 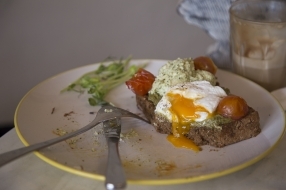 We ordered the Dark Rye special ($17) which was two slices of thick rye bread with pesto ricotta, toasted cherry tomatoes and avo with free range poached eggs. Look at the photo with the egg oozing out. Yum. Also got the Dutch Cocoa Pancakes ($18) which appear to be a signature dish at To The Woods. 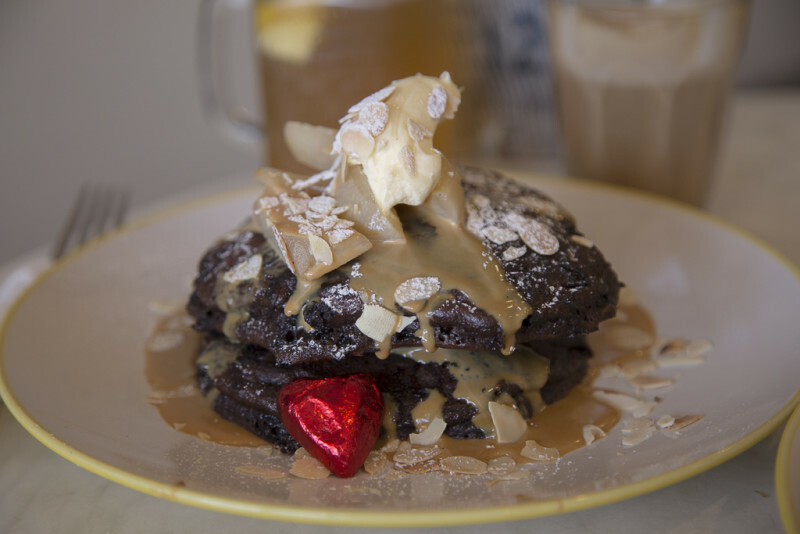 Thick and decadent cocoa pancakes topped with salted caramel sauce, sliced almonds and mascarpone with a poached pear. Coffee – beans by Crema. Home made lemon iced tea was nice and refreshing and strong in flavour. They do an all day breakfast which is perfect for lazy weekends. 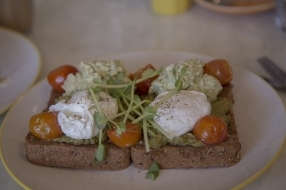 Great to see quality brunch spots popping up East of the river in Bassendean more and more now with a standard that previously could only be enjoyed farther afield.